Home » G20: Who is Going to Make a Deal? G20: Who is Going to Make a Deal? 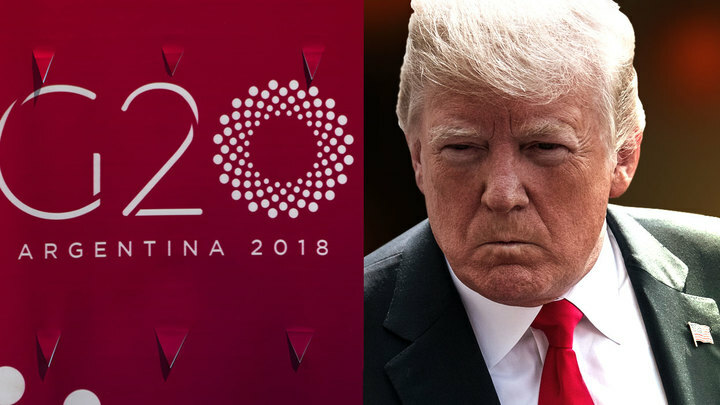 In distant Argentina, the G20 starts - a meeting of the leaders of the 20 strongest countries in the world. The focus is on several figures at once. First of all, Mohammed bin Salman - not because of the beautiful Arafat on his head, but the murder of journalist Jamal Hashukji in the Istanbul consulate, in which the Turkish police and the CIA blamed the Saudi crown prince. Human rights activists from Human Rights Watch demanded to arrest Bin Salman already at the airport. But until that happens, an important meeting awaits him in Buenos Aires. With the president of the United States. In a conversation with Ben Salman, Trump will obviously repeat his demand that the Saudis do not cut oil production. Because it can raise prices, which, thanks to tweets from the head of the White House, have collapsed to $ 60 a barrel. Whether the crown prince of Saudi Arabia will hear Trump, we will find out at the OPEC + summit, which is scheduled for December 5. To be on the safe side, the White House’s host is keeping up with celestial evidence about bin Salman’s involvement in the murder of a journalist in order to influence Riyadh. Earlier, the United States secured $ 15 billion worth of purchases by Saudis of the American THAAD missile defense system. On the margins of the G20, the American president will meet with the leader of Turkey. Recep Tayyip Erdogan is furious that the Americans have not yet expelled the Kurdish Popular Self-Defense Forces (YPG) from Manbij in northeastern Syria. The Pentagon leads the Turk around his finger, promising to remove the Kurds from Manbij so far today. But for now, everything remains as it is. If Erdogan does not agree with Trump, this will reinforce his desire to cooperate more closely with Russia in the Syrian direction. Here in Buenos Aires, Erdogan is scheduled to meet with Putin. They will discuss including the problem of Idlib - the last province remaining under the control of the Syrian opposition. In accordance with the agreement with Russia, Turkey promised to withdraw the militants from the created demilitarized zone 15-20 km wide, but so far it could not. At the G-20, Putin was planning negotiations with Trump. The leaders of the United States and Russia were to discuss the fate of the Treaty on the Elimination of Intermediate-Range and Shorter-Range Missiles, from which Washington is about to exit. However, due to the provocation of Ukraine, which was actively stirred up in Congress and the State Department, Trump was forced to cancel the meeting. The culmination of the G20, of course, will be Trump's rendezvous with Xi Jinping - the leaders of the world's largest economies. The US restricted almost half of its imports from China to narrow the huge trade gap. Because the Chinese sell in the United States three times more than they import. Trump, perhaps, as it was during the short May “truce”, will offer the Chinese to buy more American oil and soybeans, and in return to abolish trade duties against China. If Trump and XiC do not agree, a full-scale trade war will begin. This will reduce world demand and oil prices, which is harmful for the Russian economy dependent on the sale of energy resources. But on the other hand, the pressure of Washington will force the Chinese to cooperate more actively with Moscow.